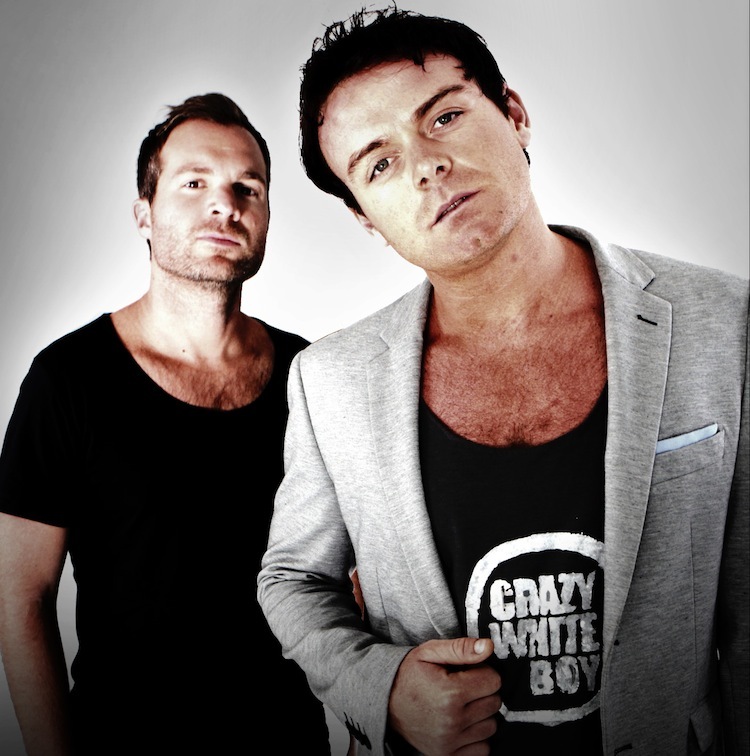 Crazy White Boy is Cape Town ‘Ghetto Tech’ DJ duo Ryan Murgatroyd and Kosta Karatamoglou. 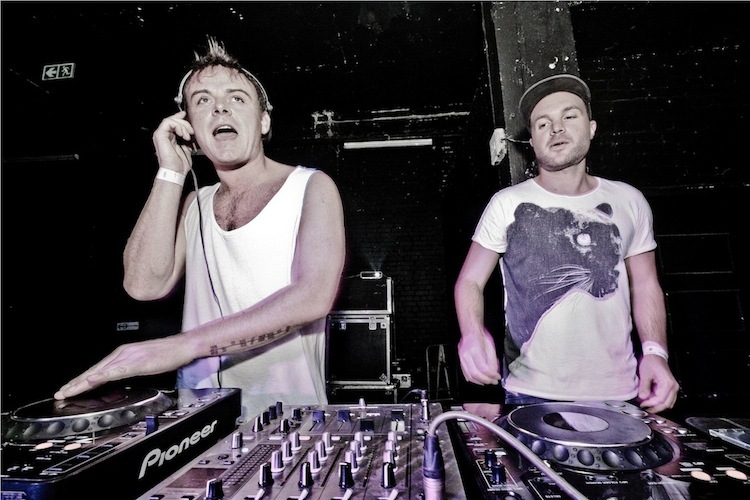 The two of them have been making music together, here and abroad, since 2008 and they are taking some of their newest sounds to the Puma Social Club this Friday night. But before they get behind the decks there, we had a chat with them about what inspires their music, what makes them dance and bathing naked with bearded men. MAHALA: Who is Crazy White Boy? KK: It’s developed over time, taken well over 5 years. RM: We call it Ghetto Tech. 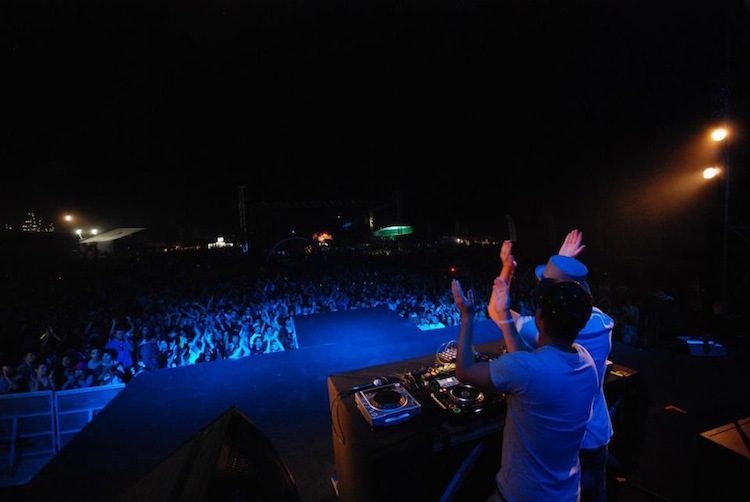 It’s a fusion of house music that stems from our international and local influences. Ultimately we just try make music of the highest quality – at the end of the day it needs to sound amazing on any sound system. Who of the two of you is more, uh, crazy? KK: It really varies, depending on who is more intoxicated. RM: It’s hard to be on the same vibe – but when the two do collide, universes shift. What’s the craziest thing you’ve done this winter? RM: Swam together almost naked in a natural volcanic spring on an island in the middle of the Atlantic Ocean. Crowded with fully naked, fully bearded Portuguese men. You’re both Cape Town based? Are you Mother City born and bred? KK: I’m from East London originally and Ryan is from Johannesburg – he’s an Irish Jew that got expelled from Saints. What is the difference between performing in Cape Town and performing in Joburg? What are the crowds like? RM: The scenes are actually finally evolving and very similarly shifting towards a deeper sound. For us it would be the difference between the two markets. We play a show at Tiger Tiger at 10pm then the same show at 2am at a spot like Truth Nightclub. It’s funny to see the different markets react to the same music; it’s nuts. Is your sound changing much? How do you develop your music to keep it interesting? RM: We do a lot of traveling and always try and do Ibiza once a year. But to be honest no one is doing anything that is really blowing us away at the moment. So ideally keeping music interesting would be not listening to music and spending time in studio messing around with music theory. What do you think of the House scene in South Africa at the moment? Is there anyone in particular who excites you? KK: I think there are a lot of great artists locally – If there are two people that excites me production wise it is Aero Manyelo and Jullian Gomez. I think there are real gems sitting on young producers hard drives. RM: It really varies from Martin Stimming to Hans Zimmer. It’s mainly about producers doing interesting things with music theory – that gets us hard and inspired. Is there anyone you’d like to do a collab with? KK: At the moment we just trying to finish our album. We love working with incredible vocalists. What is the first step in towards a new track? When is the moment you know you’ve got some good beats brewing? RM: Well we are lucky enough to have our studio running from the Soul Candi Institute of Music in Cape Town – this means there are always some excited students running around, when we play them a record and everyone is going nuts, then we know we are on to something good.  KK: At the moment we really into deeper sounds, so it could be anything from a host of up and coming producers. What can the crowd at the Puma Social Club expect from you guys this Friday? RM: Some new music actually – we’re just about to head over to studio for our night shift production marathon! We will debut about 4 new records, let’s hope they go down. KK: Its going to be 1 hour of self produced music!